This year, key changes were made to the work of the State Fund for Regional Development. For the first time, in 2019, we will support projects without a “solid foundation” – start-ups that will be implemented in hromadas at the expense of the SFRD, emphasised Hennadii Zubko, Vice Prime Minister – Minister of Regional Development, Construction, Housing and Communal Services of Ukraine, at the final panel of the Forum of Local Self-Government and 3rd Forum of AHs. It issue concerns regional development projects to be selected on a competitive basis and aimed at implementation of development strategies of the oblast, interoblast level, as well as within the framework of sectoral support of the European Union. The official said that in 2018, within the framework of the EU Sector Policy Support Programme, 70 of the 800 submitted regional projects were selected as the best ones in 5 areas. Their implementation will begin next year. “In 2019, the EU will send a second tranche, aimed at supporting hromadas, oblast and local administrations and oblast councils that will be able to submit such projects. But I am emphasising once again that regional development projects, implemented at the expense of the state support, should be in line with the regional development strategies that hromadas need to develop in a qualitative way. And it is not any more a question of restoration, overhaul or reconstruction of social infrastructure, which took place for 3 consecutive years. I think this is a question to local regional commissions that should involve the oblast deputies and MPs in the development of Strategies, develop them transparently, rank and show their priorities,” Hennadii Zubko stressed. 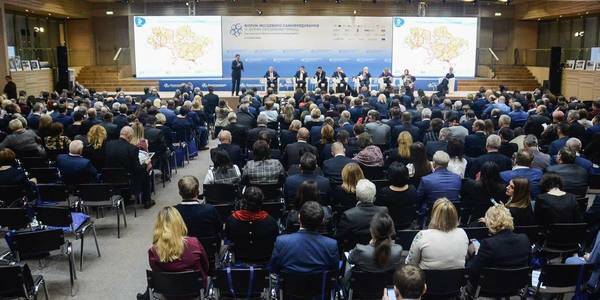 As it was reported, during the Local Self-Government Forum Vyacheslav Nehoda, First Deputy Minister of Regional Development, Construction, Housing and Communal Services of Ukraine, noted that regional policy will become efficient, when all local self-government levels are able to implement it.